Easter is around the corner and that means you’ll need to start pre-heating the oven and firing up the stovetop to create some delicious dishes. 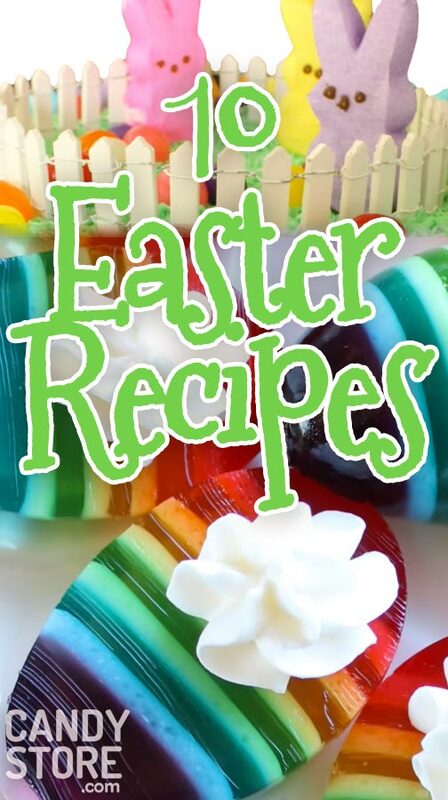 If you’re not sure what to make this year, let us help with these cute and yummy Easter Sunday recipes. They’re thematic, adorable, and so tasty. Deviled eggs are an Easter must-have; guests go wild for them! But this year, don’t just do the egg-spected presentation. Instead, follow this YouTuber’s lead and make your deviled eggs Easter themed! This is a great project to get your kids in on. Have them help assemble the chicks once you’re done cutting out all the shapes and whipping up the deviled egg mixture. That way, you can get busy with our next recipe: homemade chocolate Easter Bunnies! The gold-wrapped Easter Bunnies in the store are perfectly fine for stuffing into baskets and using as a centerpiece. However, we think you can up the ante when it comes to flavor by making some chocolate Easter Bunnies yourself! It’s really simple. All you’ll need are bunny molds, your favorite chocolate, and a sauce pan. Having guests to your house for Easter Sunday brunch or dinner? Wrap a handful of these homemade chocolate Easter Bunnies up in springy packages for a delightful party favor. Or, use these homemade treats as garnish on the top of cakes, cupcakes, and trifles. How about stunning your guests with a professional looking Easter Bunny cake? This Peter Cottontail confection is adorable and astonishingly simple to make at home. Surprisingly, you’ll only need to make two 10-inch round cakes for this recipe—using whatever flavors you like best. The frosting of this cake covers up all your sneaky handiwork with the cake below. Use chocolate frosting with shavings for a brown bunny or vanilla almond frosting with coconut to complete this Easter appropriate treat. These eggs are seriously sp-egg-tacular! They’ll take a bit of patience and time, but the end product is well worth it. Think how festive and gorgeous these will look on the dessert table in egg cups or lining the center of your table as edible décor. If these rainbows look a little too adventurous and time-consuming, then stick to one flavor and color of Jell-O. They’ll still taste wonderful and look pretty for Easter Sunday. You can’t have Easter without Peeps! These colorful fluffs have been around since the 1950s and people buy more than 700 million each Easter! If you’d like to bring some whimsy home this holiday, try baking this Peep Easter cake with some of these yummy, colorful marshmallows. Prefer traditional chick Peeps to bunnies? Go right ahead and customize your cake with feathered friends instead. Either option—or a combination of the two—will make a beautiful garnish for this Easter dessert. Much like the Trojan Horse, this Peeps cake has something hidden inside—albeit, tasty marshmallow puffs and not a murderous mob! This peep cake is so fun and would look wonderful displayed underneath a glass cake dome. Get more out of your effort by using this cake as your Easter table centerpiece, so you can enjoy looking at it before wolfing it down. If you’re planning on having a more sophisticated Easter dinner, try this Swedish Easter bread. This pretty twist will go with any menu you have planned and will look rustic, wonderfully homemade, and scrumptious on the dinner table. These breads are great for slicing, but you can also make tiny twists for personal-sized portions! That way, you can preset the table with a homemade roll on each plate, which will look lovely and give casual elegance to your display. Make your Easter dinner soirée elegant with these homemade, gourmet chocolate Easter eggs. They make incredible embellishments to cakes and dessert tables. They also look gorgeous wrapped up individually and put at place settings on the dining room table. Once you buy the egg molds, choose different chocolates for yummy variety. Also, feel free to go with your gut when it comes to accoutrement. Pick pretty sprinkles, decadent chips, and even nuts for the inside and outside of these spectacular Easter eggs. They’re hollow, so stuff them with whatever sounds drool-worthy to you! If you hate these overly sweet marshmallow candies, try these Peeps copy-cat lemon bars! They look just like Peeps, but don’t have any of the marshmallow puff you might not be wild about. The fresh lemon flavor of these homemade Peeps lemon bars is perfect for spring. Lemon is also a vibrant flavor to lighten up your palate after a heavy Easter dinner of ham, mac and cheese, dinner rolls, and more. The birds are probably chirping outside of your window right now in preparation for spring! To echo what’s happening around you in nature, make these bird’s nest cookies for Easter. Get this look and taste by mixing chow mein noodles, chocolate, and chocolate candy eggs together. These can be done a few days ahead of time if stored in air-tight containers—making them ideal for busy hosts who have to prep lots of food. We wish you the happiest Easter with your family! Make it even better for the Candystore.com community of food-fanatics by sharing your finished and favorite recipes in the comments section!